Almost done with all the prizes! The two bonus winners will get theirs tomorrow. 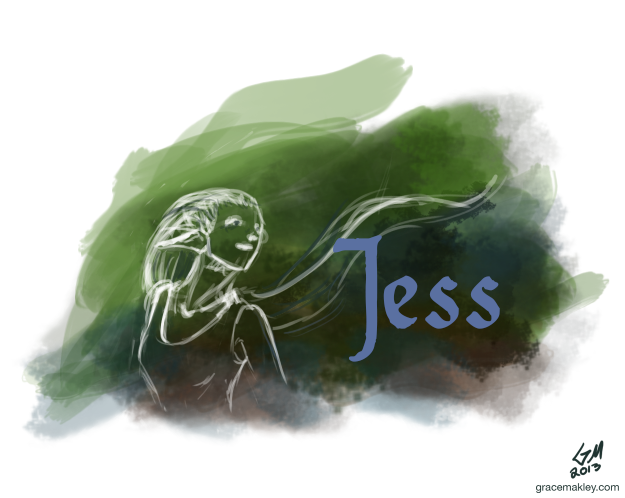 Next up, Jess, of Icarus Falls Design. I think it’s an elf. 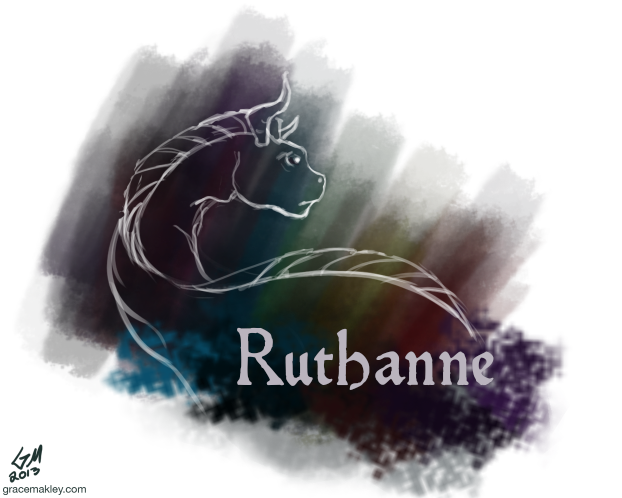 For Jess’s Race to the 8th entry, I wrote about how character’s names motivate me to get writing. 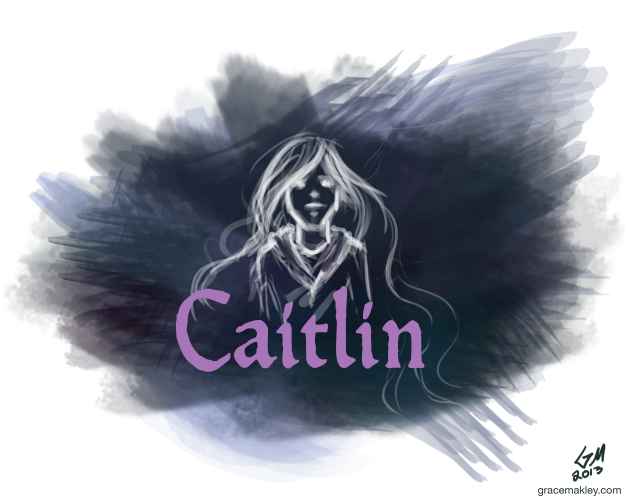 For Caitlin of The Hopeful Heroine, I did a sketch of someone who could be a heroine in a middle grade novel. For Caitlin’s Race to the 8th entry, I wrote about a moment from our shared summer in Ireland. And last for today, the honorable and excellent Lady Higg of Ales to Stouts. She gets a wolf, because SOMEDAY I hope to see a finished, published version of her high school novel about magical wolves and their adventures. 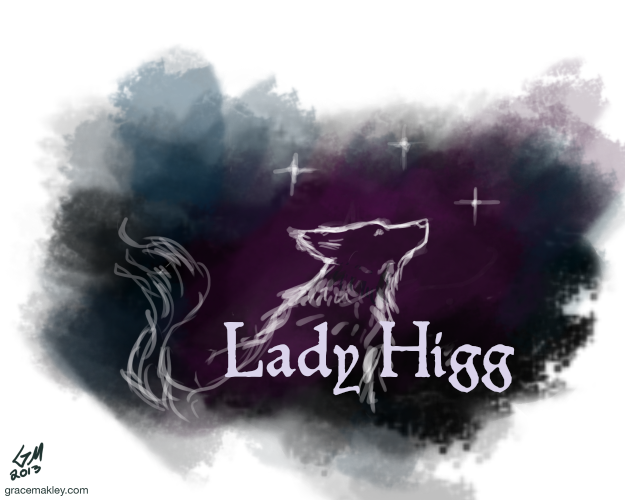 For Lady Higg’s Race to the 8th entry, I wrote about how the writing process has changed since I graduated college. Thanks for playing, everyone! Bonus winners, you will get your prizes very soon, and likewise I will email quality jpgs of the prizes I’ve already posted very soon as well. Thank you, Grace. I love it. Thanks for mentioning my blog. I guess I’d better get back to it soon and post another entry! I very much enjoyed getting to see more of your art work.